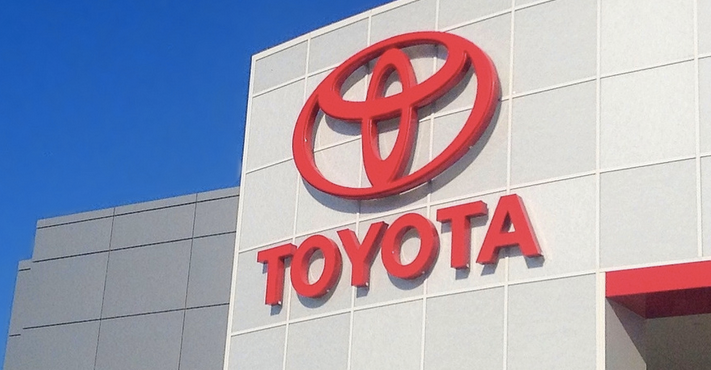 Toyota will not face another probe regarding unintended acceleration in its vehicles, the National Highway Traffic Safety Administration announced over the weekend. The Agency denied a consumer’s petition for an investigation into low-speed surging in nearly 1.7 million model year 2006 to 2010 Toyota Corollas, according to a notice [PDF] posted by NHTSA’s Office of Defects Investigations (ODI). The petition claimed that unintended acceleration may cause the vehicle’s brakes to fail, resulting in the car not stopping in time to prevent a crash. NHTSA’s rejection of the petition comes eight months after the petitioner alleged experiencing multiple low-speed surge events while driving a 2010 Corolla; the last incident resulted in a collision with a parked vehicle in June 2014. According to the denial notice, NHTSA investigators evaluated the petition by performing over 2,000 miles of test driving of the petitioner’s vehicle, reviewing the June 2014 accident report and vehicle data recorder, as well as reviewing nearly 160 similar consumer complaints submitted by the petitioner. The agency also looked into the petitioner’s claims that an expert witness in a lawsuit involving a Corolla vehicle in Oklahoma City found that a software issue led to unintended acceleration. Investigators say that during testing of the vehicle they closely followed the detailed instructions provided by the consumer regarding the conditions of the surging events, but did not find any unusual performance of the throttle or transmission systems. “In addition, testing of the incident vehicle brake system found that it functioned normally and could hold the vehicle stationary…Testing also showed the vehicle’s brakes could bring it to a full stop in less than three feet at the speeds provided in the petitioner’s account of the crash,” the notice states. NHTSA’s review of data from the Corolla’s Event Data Recorder – which the petitioner interpreted to show the gas pedal was in idle position during the crash – determined that the vehicle’s brakes didn’t come on until immediately after the impact. Investigators also say that it’s possible that the gas pedal was actually depressed during the accident. “ODI does not believe that the brake switch data recorded by the EDR is consistent with the petitioner’s statement that the vehicle accelerated with the brake applied and vehicle testing demonstrated that acceleration would not occur if the brake pedal had been applied with any meaningful force,” the NHTSA analysis states. In reviewing the 163 similar unwanted acceleration complaints cited by the petitioner and filed with NHTSA by Corolla drivers, investigators found that most accidents involved drivers pressing the gas instead of the brake, or pressing both pedals or braking too late. As for claims that a computer software issue in Toyota vehicles was to blame for the unintended acceleration, NTHSA investigators found the computer systems in the vehicles were made by two separate companies, meaning there was no basis to relate the petitioner’s vehicle to the one mentioned in the previous lawsuit. In all, investigators determined that further investigation into the issues raised by the petition is not warranted. The Associated Press reports that while the petitioner hasn’t had time to review the entire NHTSA report, he believes the conditions in which the vehicle was tested varies drastically from those when the alleged unintended acceleration occurred. Had NHTSA moved forward with an investigation, it would have been the second for Toyota regarding unintended acceleration in the last six years. The previous investigation, which began in 2009 following the tragic death of an off-duty California Highway Patrolman and his family in a Lexus, ended in March 2014 when the automaker reached a deal with the Department of Justice to pay $1.2 billion to close a criminal probe over the issue. In the California case, the vehicle went off the road at around 120 mph, but not before someone in the car called 9-1-1 urgently seeking help because they could not get the car to slow down. This incident and other reports led to the recall of millions of Toyota vehicles, along with hundreds of civil lawsuits, some of which have been settled and some that continue to linger in the legal system. NHTSA tied the sudden acceleration problems to five deaths. However, the root cause of the problem has been a much-disputed topic. Some have claimed it was a problem with the vehicles’ electrical systems, while Toyota blamed it on unsecured floor mats that became trapped under the accelerator or brake pedals, making it difficult or impossible to control the speed of the cars. Back in March 2014, it was reported that federal prosecutors found evidence that Toyota made misleading statements about safety problems that were revealed by its own internal audits, and that the company made misleading statements to the government and to the public about those safety issues.